Get to know Ginza Aster and how our core philosophy has allowed us to continue to grow since our founding. The "CCIVSS" original management system actualizes the company philosophy. In order to actualize the company philosophy, “convey the essence of Chinese food culture in its highest form," Ginza Aster implements a management system called CCIVSS. CCIVSS is an acronym for: Chinese Cooking Information Value Service System. The purpose of this management system is to adopt the valuable qualities of Chinese food and food culture, which are steeped in tradition and history, and adapt and convey them in the modern day. 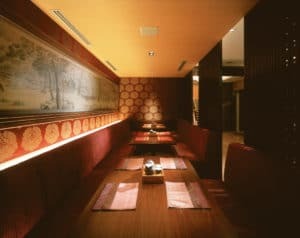 By implementing CCIVSS, Ginza Aster offers high quality cooking, service and a mood that aligns with the times, providing the essence of Chinese food culture in its highest form. Company Name: Ginza Aster Food Co., Ltd.
Associated Companies: Ginza Aster Co., Ltd. Sanxi Co., Ltd.